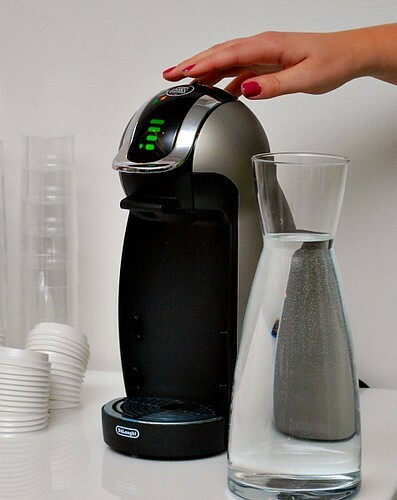 First off, Nescafé® has quite a few flavor capsules available for any coffee and tea drinker. With 18 current flavors (and more to come), there's a drink for everyone. 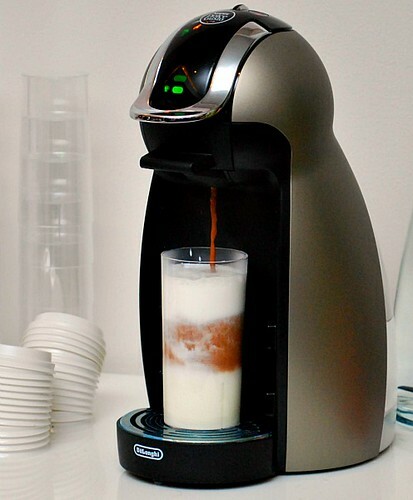 From black coffees, iced coffees, specialty drinks and even non-coffee drinks, this is a machine that you can easily use everyday, all year round to get your quick fix. Some flavors require 2 capsules, which are packed together for convenience. 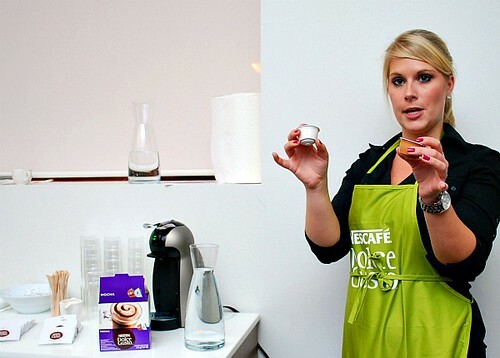 The drink being made is Nescafe's Mocha. Hot chocolate and dark roasted coffee do a delicious duet. Full intensity of roasted coffee in a delightfully sweet chocolaty treat. A nice way to welcome in the morning or unwind after work. how quickly it heats up to pump out your drink! Followed by the chocolate/coffee portion to complete your drink! 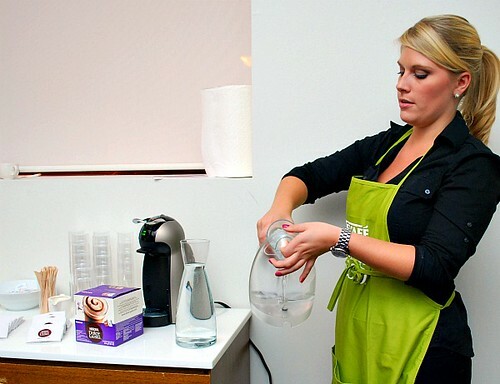 With the Dolce Gusto machines so easy to use, you may be wondering how the drinks taste. They came out very good! I found myself drinking them without adding any cream or sugar - it was perfect as is. Also, when it came to making a frothy cappuccino, I was impressed. The milk came out frothy and light, as if the milk was steamed just as they do at coffeehouses. I soon realized that the machine was pretty powerful since it takes a certain amount of pressure to be able to turn milk into a beautiful, foamy treat! It's the littlest big idea we've ever had! 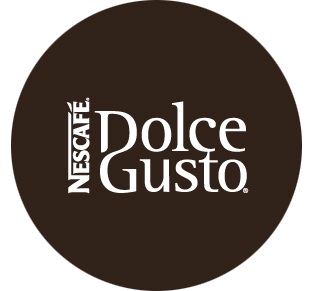 Our newest single-cup coffee solution, NESCAFÉ® Dolce Gusto® Piccolo™ is ideal for gourmet coffee lovers with limited counter space. Deadline: Saturday, October 8, 2011 at 12 midnight CST. 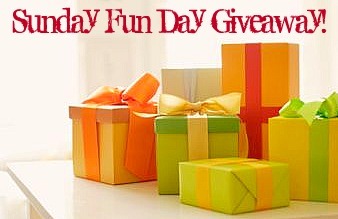 One winner will be randomly chosen by Random.Org's Interger Generator based on the number of your comment and will be announced on Sunday, October 9, 2011, within next week's Sunday Fun Day Giveaway. Good luck! I like my herbal tea with lots of honey. Yum! I drink my coffee with cream! I like decaf with a little sugar and a lot of cream. I also like flavored drinks and cappuccino and lattes. I like my tea with a little bit of sugar and that's all! I take my coffee black. No sugar. I don't drink tea, but I like my coffee with cream and sugar! Coffee-two shots espresso and enough whole milk to just cool it down to be able to drink without scorching my mouth! I drink my tea black, but use almond milk and splenda in my coffee (or cream & sugar if those aren't available). I like hot tea (herbal or fruit, it's all good!) with local honey. Coffee - any kind! I like cream and sugar! Coffee or black tea with cream and sugar, green tea with honey! I like my coffee with half and half and some raw sugar! I take my coffee with milk and fake sugar... but really, any way will do as long as its CAFFEINATED!!! black with a splash of milk! I drink my tea with a shot of agave nectar and my coffee with sugar and cream or a flavored half and half. Yum!! I'm an iced sweet tea girl! I love my coffee with tons of sugar and hazelnut creamer! I like my coffee black and I like my tea with sweetener. I like my tea with almond milk and honey. Either black or with a little milk or creamer. When I make it at home, I take it straight up black. But when they're around, I love trying different flavored creamers. Sounds like the Gusto would satisfy that on a more regular basis! I am hooked on Mocha. I also like black tea with sugar. Sometimes I add lemon. I drink decaf with vanilla flavored almond milk and a little sweetener. I'm bad with my coffee, I like plenty of real sugar and cream! 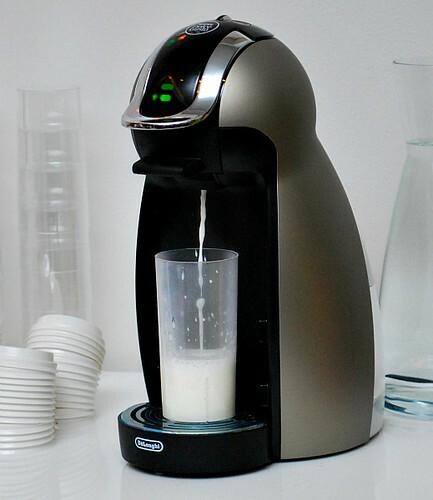 And often, I confess, I even use those SO terrible for you coffee creamers. I just can't seem to kick that habit! I like my tea with a little bit of honey. Awesome! I love my coffee with a little bit of skim milk and 2 packets of splenda. Yum!! At home I either have a mocha joe or coffee with a little cream and two sugars. When I get coffee out, I usually get a nonfat mocha with vanilla! I usually drink my coffee black with sugar. I've really only gotten into mochas or the like, but this might help me branch out! I like mine strong with milk and two spenda. Yum! 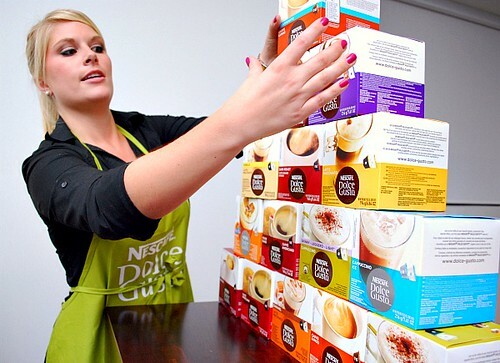 I like my tea with honey, and, when I drink coffee, I like lots of cream and sugar! I like my coffee with white chocolate creamer mmmm! I make tea the South Asian way with ginger , spices and milk ofcourse. cream and sugar in my coffe! I drink my (Decaf) coffee with coconut cream creamer and lots of it!! AND I love a big cup of vanilla caramel (decaf) tea in the evening with a huge dollop of honey! I take my coffee with milk and regular sugar (gasp), with a dash of nutmeg and cinnamon. I use a frother to make some froth cappuccino style. I recently started adding milk to my tea, to cut the bitterness. Coffee I take either straight black or with half and half (depends how hot the coffee is and my mood)! For tea it depends on what time of day and where I am. If I'm home and it's after dinner, I like to put blackberry brandy in it, but during the day it all depends on which flavor tea - peppermint is straight, regular tea sometimes I do honey, sometimes milk and sugar, sometimes just milk, and sometimes straight. Yes, I guess I'm a weirdo because I like to change things up! I don't like the taste of coffee so I have to add lots of cream to make it taste better. My favorite way to have coffee is to fill a cup half full of hot chocolate and the other half with coffee and add some vanilla creamer. I take my coffee with splenda and powdered creamer.. the best thing in the morning! ! I like my tea sweet over lots of ice & my coffee with lots of sugar & little creamer. I love mine iced with skim milk and a little sweetener. I like iced coffee with skim milk and a little sweetener. I like it slightly sweetened an with milk (or not if it's latte). I add a lot of stuff to my coffee. I add sweetener, flavored syrups, and vanilla creamer. It needs to be sweet and have lots of flavor. Coffee with lots of pumpkin spice syrup! Lots of milk and sugar! I like flavored coffee with cream or half-and-half. No sugar or sweetener. Thanks so much for the very generous giveaway! I prefer soy lattes when I'm out, but at home I like my coffee with soy milk! I enjoy my coffee --strong-- with creme brulee coffee creamer! Yum!